Specialist in all Basic to advanced laparoscopic surgery, G.I., Hepatobiliary, Pancreatic & G. I. Cancer surgery. 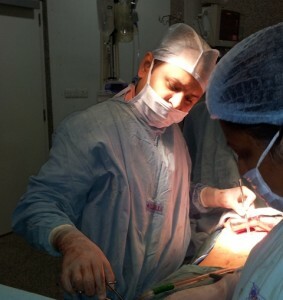 Practicing as an HPB, GI Cancer & Minimal Access Surgeon in Surat, Gujarat, since 2010 Attached to all major hospitals as an honorary G I surgeon. With the majority of work being done at SIDS Hospital & Research Center. M.S. (GENERAL SURGERY): B J Medical College, Ahmedabad, Gujarat, India 2007. First class, University second. Presented several papers in various conferences and stood amongst top 5 at national level surgical quiz during surgical training in 2006. Practicing in SURAT since 2010 and had done lots of difficult and first time ever kind of cases in SURAT, especially of LIVER & PANCREAS. Special interest is in Hepato Biliary and Pancreatic surgery and complex Gastro Intestinal surgery. With the majority of work being done at SIDS Hospital & Research Center, Surat. led me to do… training from few of the finest institutes like Bhatiya hospital (Mumbai 2009 to2010), Jaslok Hospital (Mumbai) TATA Hospital (Mumbai), Sir Gangaram Hospital (Delhi) From Feb 2011 to sept. 2013. IRCAD – University of Strasbourg, France.2011. Presented several papers in various conferences and having 4 publications in index journals. 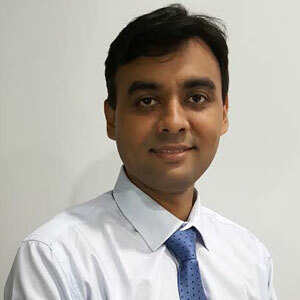 He is doing practice in SURAT since 2014 and had done lots of difficult and interesting cases in advance laparoscopy and GI & HPB CANCER SURGERIES.